Only $29.99 for a three day rental. Add sidewalls to your tent today to protect from wind, rain, or too much sun on a hot day! 4 sidewalls to enclose a 20' x 20' tent. 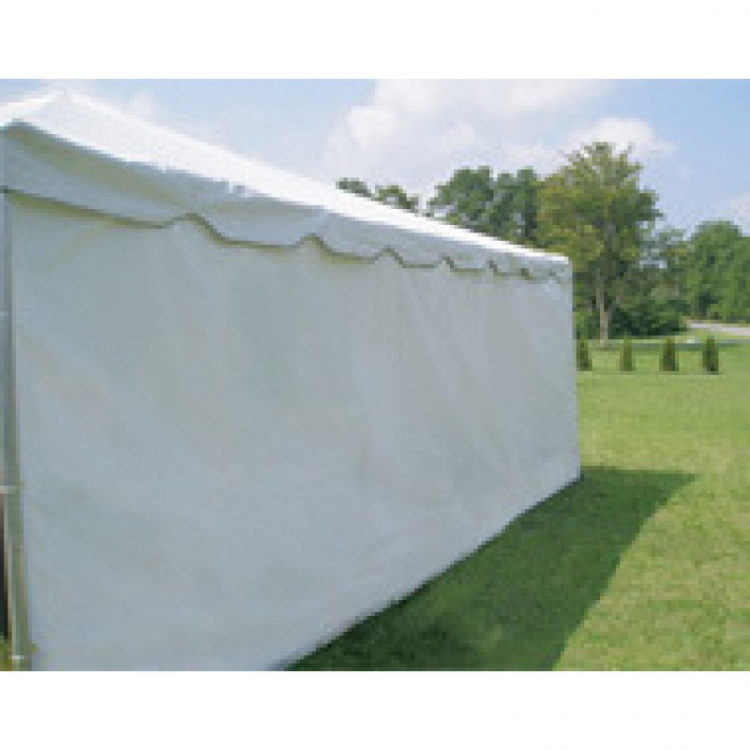 6 sidewalls to enclose a 20' x 40' tent. 8 sidewalls to enclose a 20' x 60' tent. 10 sidewalls to enclose a 20' x 80' tent. Set up price is included (there is no price difference if customer sets up themselves). Sidewalls are different than real walls as they do sway, especially in winds over about 10 mph. They may only be staked down with bungees to prevent ripping of the fabric.